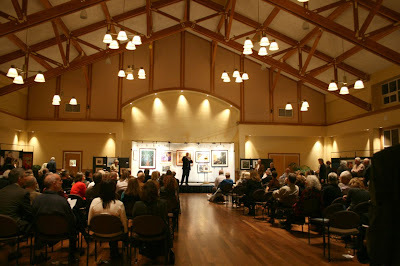 Saturday, November 10, 2007 It was my great pleasure to attend the Wendy Gruber Auction last night at the Mill Valley Community Center. Rick Klein, Wendy's husband, presented me with the first Wendy Gruber Career Development grant. I also met some very renowned Marin artists that I have admired for some time, including Chris Adessa, and Kay Carlson. 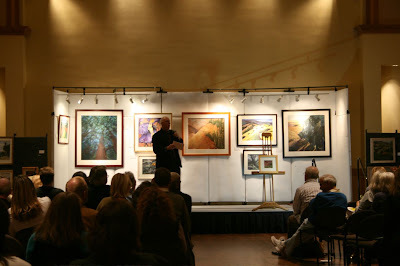 I look forward to using the funds to frame my work for my next shows in Marin County, at the San Anselmo Inn and the Tiburon Library. I will also purchase a backpacker easel, additional supplies for painting plein air, and promotional postcards to advertise my shows. Thank you, Marin Arts Council and the friends and family of Wendy Gruber.